This event is free, but please RSVP via the link above. For fifty years, the West Berlin cabaret Chez Nous was a star-studded dance club, visited by celebrities and featured in Hollywood films. Chez Nous celebrated the artistry of female impersonators and trans women, including Coccinelle, the first French trans woman to legally change her name following gender confirmation surgery; Ricky Reneé, a drag performer who played Elke in Cabaret (1972); and Chicago’s own Marlow La Fantastique, an internationally acclaimed performer now residing in Bronzeville in her retirement. An Evening at Chez Nous brings that history alive with a cabaret-inspired event including clips of the cabaret’s revue from the 1970s, scenes from films set at the nightclub starring Michael Caine and Omar Sharif, Chicago dancer Darling Shear recreating Marlow’s fan dance, and Marlow La Fantastique herself, sharing her stories and memories of the famous dance club. The evening's emcee will be filmmaker and SSHRC Postdoctoral Fellow Chase Joynt. Note: This event takes place in room 901 of the Logan Center. Raised in Bronzeville, Marlow La Fantastique began performing in Chicago, winning grand prizes at drag balls before moving to New York City in the 1960s. 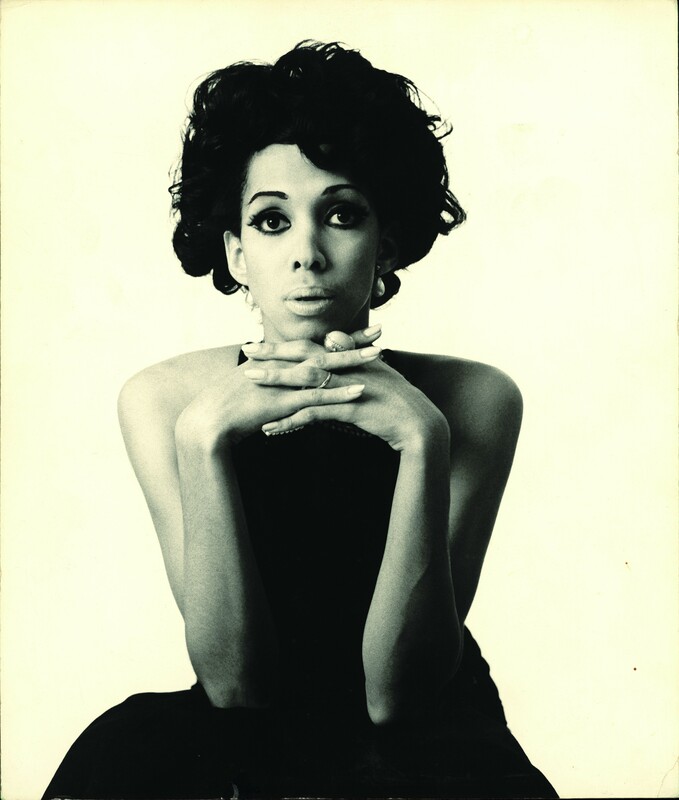 There, she joined the House of La Beija, spent time at Stonewall, performed at the Jewel Box, and competed as Miss Chicago in the drag pageant featured in the cult classic documentary The Queen (1968). Encouraged by her friends to explore Europe, she moved to Berlin and ended up performing at Chez Nous, hired on the spot because of her resemblance to Josephine Baker. After working in Berlin for years, Marlow continued performing internationally in Indonesia and elsewhere, finally returning to Chicago, where she and her husband live in Bronzeville. Darling Shear has worked with choreographers including Bubba Carr, Rhonda Henriksen, Tracy Vogt, and Hinton Battle, and founded her own collaborative company, Suna Dance. In Chicago, she has worked with The Fly Honeys of The Inconvenience, apprenticed with the Cerqua Rivera Dance Theatre, and regularly performs at Salonathon and other queer arts spaces. Working with the Neo-Futurists, she specialized in recreating historical dance numbers from musicals from the 1920s through the 1970s. Chase Joynt is an internationally award-winning filmmaker and writer. His latest two films Genderize and Between You and Me are now streaming live online with CBC Digital Docs. His first book, You Only Live Twice (co-authored with Mike Hoolboom), is a 2017 Lambda Literary Award Finalist and was named one of the Best Books of 2016 by The Globe and Mail and CBC. His second book, Conceptualizing Agnes: Exemplary Cases and the Disciplines of Gender (co-authored with Kristen Schilt) is under contract with Duke University Press. In 2017, Chase was a Visiting Scholar at the Radcliffe Institute for Advanced Study at Harvard University and he is currently an SSHRC Postdoctoral Fellow at the University of Chicago. Curated by Nicole Morse (CMS) as part of the Film Studies Center’s Graduate Student Curatorial Program. Co-sponsored by the Center for the Study of Gender and Sexuality, the Department of Cinema and Media Studies, the Student Fine Arts Fund, the Department of Germanic Studies, and the Center for Theater and Performance Studies.